By Honours in Curatorship students in the Practical Communications component of their Honours in Curating program at the Center for Creating the Archive, UCT. Please note some downloads will need to be rotated in your PDF Reader. 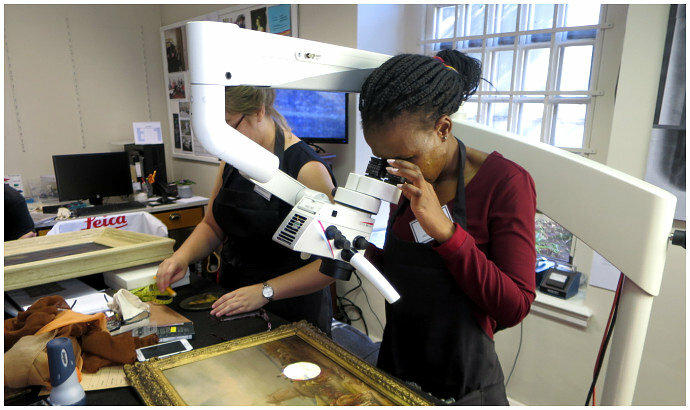 GC examining the painting using the new stereo microscope possible by Yentl Kohl, Iziko Education.